Shirley Johnson is assistant Superintendent for student services at Kentwood Public Schools. "Kentwood is such an international district, a very global district," Johnson says, "and we have students from 70 different countries representing over 70 languages that are spoken here in the district." Johnson says when she started with the district about a decade ago, there were only about 200 ESL students, students for whom English was their second language. Now, the number of ESL student is closing in on 2,000. I met Johnson at the front desk of the administration building, where there’s a huge map of the world on the wall to reflect the district’s global influence. "And this is just so reflective of the richness here in the district that we enjoy and experience every day," Johnson says of the map. It’s a point of pride at this school district, but it also represents a challenge for teachers. Johnson says when she started with the district about a decade ago, there were only about 200 ESL students, students for whom English was their second language. Now, the number of ESL students is closing in on 2,000. Getting teachers who have the training to educate ESL students is a challenge. "Do you feel like you have enough of those teachers now?" I ask Johnson. "Absolutely not," she says. "Absolutely not." And it’s not just Kentwood schools. "Our current situation, especially in urban schools, we’re talking about one trained ESL teacher is servicing 150 ESL students," says Riu Niu-Cooper, a professor in the education department at Aquinas College in Grand Rapids. "That’s quite a load." At Aquinas, Niu-Cooper is a teacher who teaches teachers. More specifically, she teaches ESL teachers. It’s not as simple as just having a teacher know the other language. In one district like Kentwood, there can be dozens of languages, with parents from dozens of different cultures, and some kids who already know a lot of English and some kids who know almost none. "So the bottom line would be you really have to understand each student as an individual in order to provide support or teaching," Niu-Cooper says. In Michigan, there is a state endorsement teachers can earn to become certified ESL instructors. Riu Niu-Cooper’s goal, as well as the goal of many in the education world, is to have more teachers with that endorsement. To that end, Aquinas was just awarded a $2.5 million federal grant to train more teachers to get their ESL endorsement. 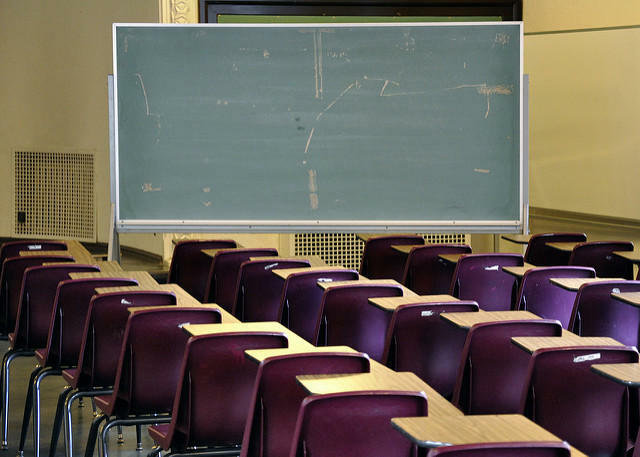 Eastern Michigan University received a similar grant to train teachers on the east side of the state. Riu Niu-Cooper says she expects to be able to add about 150 ESL endorsed teachers to West Michigan, thanks to the grant money. She says that still won’t be enough to meet the need, but the extra training will make a difference for families. "If we have better teachers or more effective teachers, then the kids will learn better, especially those kids from minority families or low-income families, or refugee families or migrant families," she says. "If we can help them to leave the poverty line, that’s a huge contribution to the whole society." 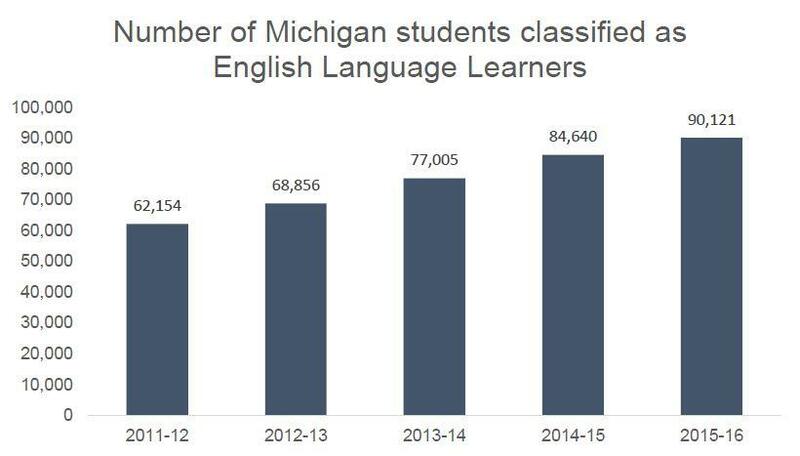 And a huge contribution for the more than 90,000 kids already in Michigan who are English language learners.